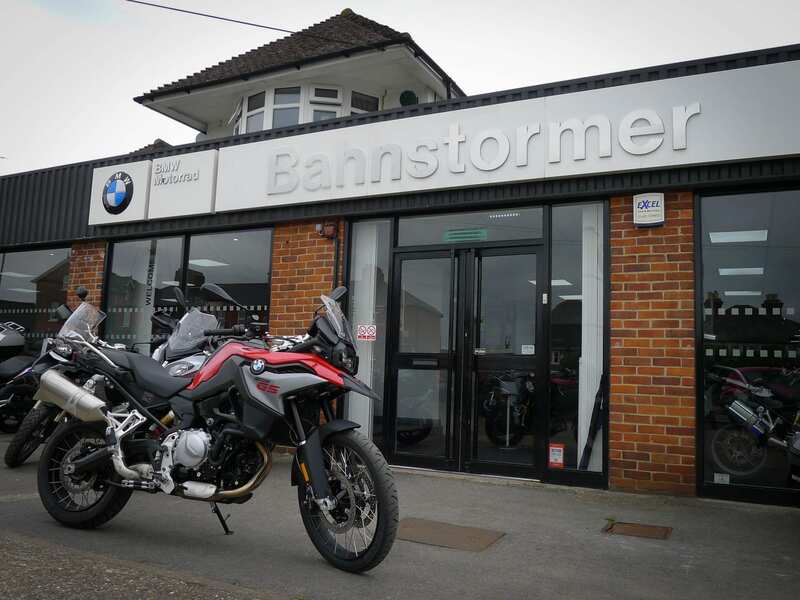 We love trying new bikes, so when Bahnstormer offered us the opportunity to be one of the first people to test ride the new BMW F850GS, we didn’t think twice! As you would expect from a BMW, the bike feels solid and reliable. Every little detail has been taken care of to make sure it’s built to the highest standards. New exhaust creates a nice sound. TFT screen and power socket add a nice touch. The new 850cc engine packs 95bhp, 10 more than its predecessor, the F800GS. You can certainly feel this extra power; the engine feels really punchy. In the video you can appreciate how easily it pulls from 40mph to 60mph, without needing to change gears. The new ride-by-wire throttle makes the bike feel even more responsive. Another improvement is the gearbox, which is now smoother and with the Gearshift Assist Pro you can easily make an overtake or pull out from the traffic lights without losing any power. The bike now comes with different riding modes and you can tell the difference. When changing from ‘rain’, to ‘road’, or to ‘dynamic’; the throttle response completely changes. I particularly like this on my R1200GSA when the surface is wet or worn, as I change it to ‘rain’ mode, to ensure the power delivery is smooth and the ABS and traction control kicks in earlier to avoid getting in trouble. With a good engine you will need a good set of brakes. The BMW F850GS comes with two massive Brembo disks at the front and a smaller one at the back, which will help you control and stop this machine. You can feel the braking power as you can easily slow down from 60mph to 30 when approaching a town or in case of encountering a hazard. I braked hard and the ABS didn’t kick in when using the front brakes. The rear ABS, however, kicked in a couple of times as the weight moved forward when stopping. The only thing I found is that the front will dive a lot and it can become a bit uncomfortable. This may just be me though, as I am used to the R1200GSA which doesn’t dive at all. The bike feels light and maneuverable. I thought the 21inch front wheel would bother me on the road but the bike feels planted even when accelerating hard. The BMW F850GS is an easy ride and it flows through the bends with ease and accelerates promptly when you open the throttle and ask for it. Although the bike is tall, 860mm height for the standard seat, it doesn’t feel like it. Its narrow body and seat allow your feet to reach the ground comfortably. Despite the seat being narrow, to allow the rider to stand easily, it’s actually really comfortable. I rode the bike for over an hour and the only thing that I would have asked for is more weather protection. The screen that comes with the bike is functional at low speeds but I would definitely install a taller one if I was going to use the bike for touring. It may sound stupid but I quite like the fact that the heated grips have 3 levels now! I wish BMW had done this for the R1200GS, which with two options, I either don’t feel any heat or burn my hands. Here you have a little video we made when we tested it.